Any gadget, may it be smartphone or a simple watch, needs an update every now and then to pace up with the new technology trends. And when Apple comes into picture, it is always trying to grab the first position in the race by its updates to it featured iPhones. As you have landed on this page, you are a big fan of Apple and probably must be dealing with iPhone verifying update issue. In the below article, we will be discussing various reasons as well as their possible solutions to help you solve iPhone stuck on verifying update screen issue. Before conducting anything regarding iPhone stuck verifying update problem and blaming software or hardware, let us first check if anything is missing from our side. 1. Make sure iPhone is fully charged: This aspect can just slip out of our mind but if not taken care of, it can give problems. While going for any update, it is necessary that your iPhone has sufficient battery so that the updating process is completed without any interruption. 2. Check Wi-Fi connection: Make sure your iPhone is connected to Wi-Fi. If this is not the concern, then check if you have a good Wi-Fi connection. In case your Wi-Fi connection is weak, you will be dealing with iOS 10 verifying update stuck problem, no doubt! 3. Make sure iPhone storage is enough: Yes, storage does matter while updating anything, from simple app to big softwares. If you are running out of space, you just cannot update and can even get stuck in the process. Check your available space in Setting >> General >> About >> Available. 4. Create a Backup: Taking a backup just as a precaution is a good idea. While getting back your iPhone to a working condition, there are chances that you lose your data. So, a backup can help you get back your data in any situation. Now that we have checked few basic things and have made sure we are clean from our side, we can look forward to deal with any software or hardware issues. Below are few best solutions to deal with verifying iPhone update with apple stuck issue. Simply locking your iPhone and waking it up may sometimes solve the stuck verifying update issue. It does nothing great but can help resume the update when the locked iPhone is waked up. To lock your device, simply press the Sleep/wake button. To wake it up again, press the Home button or the sleep/wake button. You can go further and slide to unlock your device. If you are facing iPhone stuck saying verifying update, just hard reset your iPhone. This solution gives magical results sometimes without putting any actual efforts to resolve any problem. To hard reset your iPhone, follow below steps. For iPhone 7/7 Plus: Quickly press power/lock button and in unison press volume down button. Let go both the buttons when you see the Apple logo on screen. For iPhone X/8: Press and hold and then let go the volume up button. Now, promptly hold and then let go the volume down button. Next, long press the side button till the screen gets off and again turns on. Release the button when the Apple logo is seen. For iPhone 6/6s/SE/earlier: Simultaneously press Home button along with power button. Keep holding both the buttons till the time you see the Apple logo. Let go both the buttons. Have patience till restarting process is done. If you are stuck with your iPhone verifying update for ages, simply delete the iOS update and download it again. Follow below steps to download the update again. Step 1: Navigate to Settings >> General >> iPhone Storage. You will see a list of apps. Search for the iOS update in this list. Click the iOS update to get the Delete Update option. 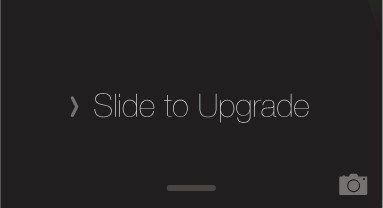 Step 2: Now that you've deleted the iOS update, navigate to Settings >> General >> Software Update to download the most recent version of iOS. If re-updating your iPhone does not solve your issue, try putting your device in DFU mode. Your iPhone can be recovered from DFU mode. Follow below steps to put your device in DFU mode. Step 1: Connect your iPhone and PC with help of USB cable. Open iTunes and long press the Home along Sleep/Wake button for just 10 seconds (only). Step 2: Once the screen is black, let go the Sleep/Wake button only. Keep holding the Home button unless you see an iTunes message saying your iPhone is been detected in recovery mode. By restoring your iPhone using iTunes backup is another way to get rid of iPhone stuck at verifying update issue. To restore iPhone from iTunes, follow below steps. Step 1: On your PC open iTunes and connect your iPhone to PC. Choose your device and in iTunes select the option Restore Backup. Step 2: Make sure to select the most recent backup by checking date and size of each backup. Now tap on Restore and have patience till the restoring process is finished. If you are still dealing with iPhone stuck verifying update problem, give a try and update your iPhone via iTunes. This will surely help solve your issue. Follow below steps to update iPhone via iTunes. Step 1: Install the latest iTunes version on your PC and connect your iPhone with PC. Open iTunes and choose your device. Go to Summary >> Check for Updates. Step 2: Next click Download and Update. Once you select this option, your device will be updated then and there. Note that the DFU mode and iTunes update methods result in complete data loss. If any of the above methods don't give success, try Tenorshare ReiBoot. The software is the best solution to get rid of iPhone keeps saying verifying update problem without data loss. The s/w will resolve any iOS system error/stuck without data loss. Moreover, your iPhone will be updated to latest iOS after system recovery. Step 1: If already installed, open the tool on your PC. If not, download, install, and then open it. Connect your PC to iPhone. Choose the "Fix All iOS Stuck" option. Step 2: Click "Start Repair" to fix verifying iPhone restore problem. Step 3: Prior to repair the issue, you need to donwload the firmware package. With the downloaded firmware package, you can resolve iPhone unable to verify update. If any of the solutions won't work, then there is some hardware issue with your iPhone. You need to check for it and get support from Apple in order to solve the hardware issue. In the above article we have provided the best ways to solve iPhone stuck verifying update issue. Hope that the solutions have worked and given you success. Share your feedback by commenting below.